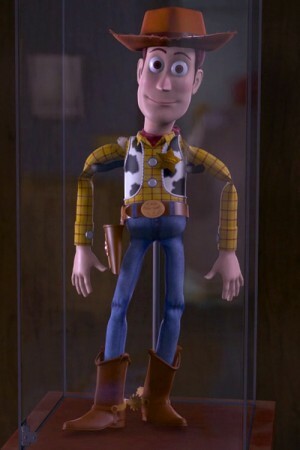 Continues from The Toy Story Collection – Part 1, this is part 2 of my Toy Story Collection post. 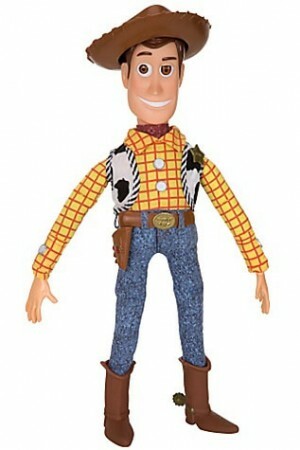 In Part 1 I covered my recent acquisition of Thinkway Toys’ Toy Story Collection’s Woody and Buzz Lightyear. These two are the characters from the first movie Toy Story. Now in Toy Story 2 two new characters are introduce as part of the “Woody’s Roundup” gang – Jessie the Yodeling Cowgirl and Woody’s Horse Bullseye. 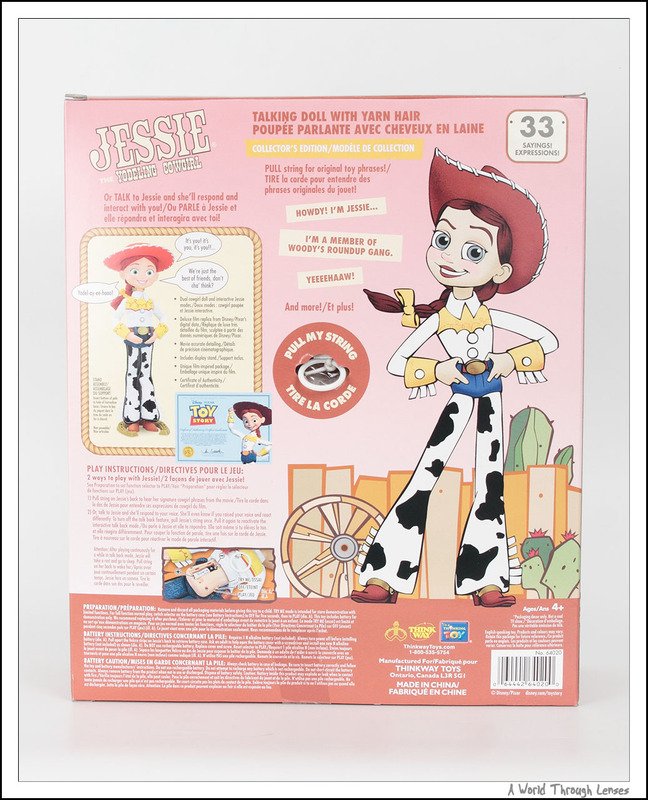 Let me start with Jessie. 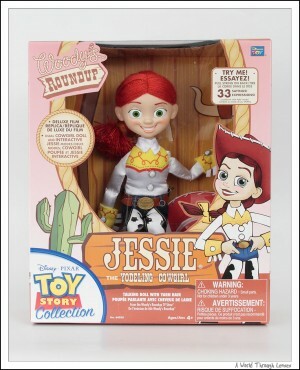 Just like Woody and Buzz, Jessie carries a price tag of $60 CAD at my local Toys R Us. I’d like to reiterate that the price tag is definitely more justifiable as a “collectable toy” than a simple child’s play thing. 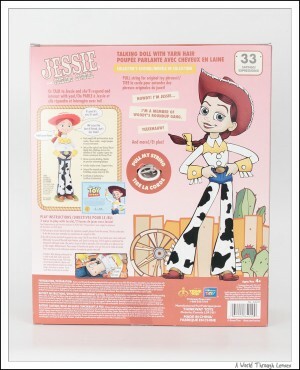 There are other Jessie dolls that does similar things that are priced at $30 CAD or below. The whole selling point of Toy Story Collection is that this is supposed to be a premium quality exact replica of the toys in the films.